Research Notes of the AAS is non-peer reviewed, indexed and secure record of works in progress, comments and clarifications, null results, or timely reports of observations in astronomy and astrophysics. Research Notes are moderated but not edited, which allows them to be rapidly published online within days of acceptance. The brief articles published in RNAAS are searchable in ADS and fully citable, and they are archived for perpetuity. Submissions to RNAAS should be brief communications — 1,000 words or fewer, with no more than a single figure or table (but not both) — and should be written in a style similar to that of a traditional journal article, including references, where appropriate, but not including an abstract. An earlier incarnation of Research Notes of the AAS existed in The Astrophysical Journal until the 1970s. The AAS Publications Committee recommended its resurrection as a distinct title which was launched in October 2017. 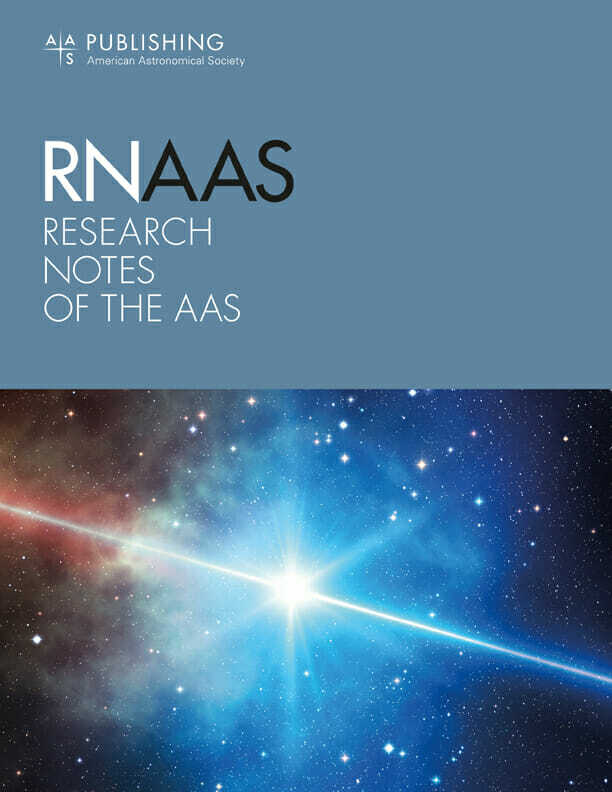 Meant for short communications of interest to the community, including null results, RNAAS is not peer reviewed but moderated by AAS Lead Editor Chris Lintott.